Background: Prematurity and glucose-6-phosphate dehydrogenase (G6PD) deficiency are considered important risk factors in neonatal hyperbilirubinemia. G6PD screening is performed by many neonatal units to identify this risk factor. 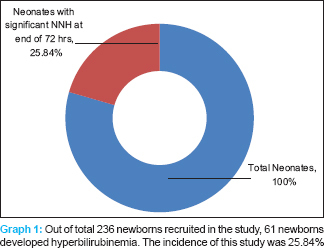 Few studies evaluated the role of this screening on the management of hyperbilirubinemia in preterm infants during their neonatal hospitalization. This study aims to evaluate effects of G6PD screening on treatment of hyperbilirubinemia in infants <2000 g admitted to Neonatal Intensive Care Unit. Methods: All neonates <2000 g who were admitted to neonatal unit for 3 years (2013–2015) were retrospectively included in the study. Data related to risk factors and management of hyperbilirubinemia were collected and analyzed on these infants. A number of phototherapy units used for treatment, duration phototherapy, and level of bilirubin were compared between G6PD deficient and nondeficient infants and presented. Results: Included in this retrospective study were 621 infants. About half on included infants were < 1500 g. Gestational age groups as follow: ≤28 weeks, 23.3%; 29–32 weeks, 37.5%; 33–36 weeks, 33.6%; and ≥37 weeks, 5.6%. Prevalence of G6PD deficiency was 10.3%. The highest recorded serum bilirubin was significantly higher in G6PD deficient group compared with nondeficient one (161.6 μmol/l ± 57.5 vs. 145.4 μmol/l ± 46.4, P = 0.01). 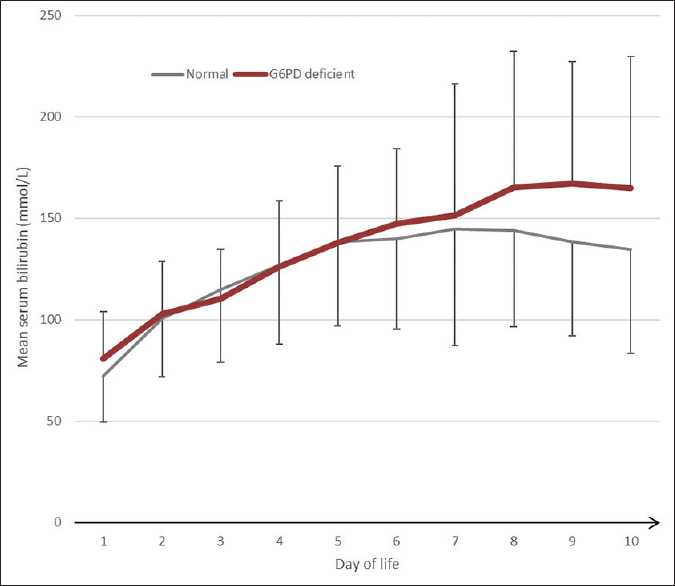 G6PD deficient infants were treated with more phototherapy than nondeficient group (85.9% vs. 64.5%, P < 0.001). G6PD deficient low birth weight neonates were more likely to receive intensive phototherapy. None of the G6PD deficient patients was treated with exchange transfusion. Conclusion: Prevalence of G6PD deficiency among low birth weight infant in the United Arab Emirates is similar to data reported in full-term infants. Screening for G6PD in preterm infant is associated with more treatment using phototherapy and may contribute in preventing severe hyperbilirubinemia. Context: Neonatal jaundice is the most common problem that can occur in over half of full term and most premature infants. Recently, due to the upcoming trend of early discharges, it is seen that these newborns are at increased risk for hospital readmission for jaundice. Hence, this study was designed to study the association between 1st day transcutaneous bilirubin (TcB) and subsequent significant neonatal hyperbilirubinemia (NNH) and to use it as a predictor for the same. Aim: This study aims to study the value of 1st day TcB as a predictor of subsequent NNH. Settings and Design: This was a descriptive correlational study conducted on 236 newborns born in our hospital which is a tertiary care center. Subjects and Methods: Inclusion criteria: Full term normal babies, ≥2.5 kg birth weight. Exclusion criteria: Rh incompatibility, babies with life-threatening conditions. After a baby was born, TcB was taken at 24 h of life and the newborn's bilirubin values were estimated on 24, 36, 48, and 72 h of life by measuring TcB; and total serum bilirubin was estimated whenever TcB was abnormal or at 72 h. TcB at 24 h >8 mg/dl and at 72 h >16 mg/dl was taken as significant. Serum bilirubin at 72 h >17 mg/dl was taken as significant as recommended by the AAP. Statistical Analysis Used: Statistical analysis was done using descriptive and inferential statistics using Chi-square test, receiver operating characteristic (ROC) analysis and the softwares used were IBM-SPSS version 17.0, graphpad prism 5.0 version developed by graphpad software inc. California, Epi Info a public domain software developed by Centers for Disease Control and Prevention in Atlanta, Georgia (USA). P < 0.05 was considered statistically significant. Results: A TcB >8 mg/dl at 24 h of life has a sensitivity of 79.71% and specificity of 96.41% to detect subsequent NNH. Area under ROC curve = 0.95. Conclusions: TcB at 24 h has a very high correlation with the TcB, TSB, and thus NNH at 72 h of life with a P = 0.0001. Objective: Determine the value of melatonin as an adjuvant therapy in treating necrotizing enterocolitis (NEC) in neonates. 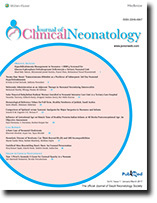 Patients and Methods: A prospective clinical trial study was conducted on 50 neonates which suffer from picture like NEC to detect cases with evident NEC diagnosed on the basis of both clinical and laboratory criteria. Enrolled neonates were divided into two groups: Studied group (G I) (n = 25) received melatonin and antibiotics, while the control group (G II) (n = 25) was treated with antibiotics only. Melatonin was administered as 20 mg for 3 consecutive days and antibiotics were administered according to a standard protocol. Results: Showed comparison between Group I and Group II according to incidence of NEC at the onset of the research and after 1 week of onset wherein Group I there were 6 neonates out of 25 neonates at the onset of research suffering from NEC and became 1 neonate only after 1 week showing significant difference in Group I (P < 0.05) while in Group II there were 4 neonates at the onset of research suffering from NEC and became 3 neonates after 1 week showing nonsignificant difference P > 0.05. Conclusion: Melatonin administration as an adjuvant therapy in neonatal NEC treatment is associated with improvement of clinical and laboratory outcome. Context: Hypothermia is common in infants born at hospitals (32%–85%) and at homes (11%–92%). Hypothermia does not lead to mortality directly; it contributes globally to newborn survival mostly as comorbidity of neonatal infection, preterm birth, low birth weight babies, and asphyxia, even in tropical countries such as India. The problem of low birth infants is 30% in our country. One of the estimates of reducing neonatal deaths is to provide warmth to the baby. By giving warmth to the baby either skin to skin contact or incubator or open care system, the potential impact in reducing the neonatal deaths is estimated at 1.8%–42%. Aim: India is going through energy crisis, a solar powered baby warmer was thought of to prevent hypothermia in the newborn care. Setting and Design: An open care infant warmer was planned to connect to solar rooftop photovoltaic (PV) panels in a Neonatal Intensive Care Unit (NICU), in a tertiary hospital in New Delhi. The PV system was designed for about 10 h of working, to generate for approximately 4 kWh of energy per day. Methods: Solar panels were connected to one open care radiant warmer with an inbuilt energy meter in a NICU in a tertiary care hospital in New Delhi. Energy meter was also connected to the AC mains/grid to know if any current is drawn from the grid. Energy meter readings were taken at the time of installation of solar radiant warmer and at the end of 368 days at the end of all the seasons. Results: The solar powered radiant warmer was successfully installed in the NICU and fully functional since December 10, 2012. The preliminary energy consumption study shows that PV panels of 1.2 kWp were more than enough to run one radiant warmer. At least two radiant warmers could be connected in the panel size used. There is no running cost as the electricity saved in the 1st year was equal to the cost solar panel and cost of radiant warmer. Conclusions: The solar powered baby warmer is environment-friendly. In rural areas where power supply is erratic and where there is plenty of sunshine, this product will help in the care of high-risk infants in Level II special care newborn units in district hospital and neonatal stabilizing units in subdistrict levels at primary health center and community health center. Objective: To establish hematological values (complete blood count) in healthy full-term newborns born at Dr. Soliman Fakeeh Hospital, as a reference value for healthy newborns in Jeddah, KSA. Methods: This is a cross-sectional study. Two thousand one hundred and sixty-three newborns were enrolled between January 1, 2013, and April 30, 2013, from Dr. Soliman Fakeeh Hospital in Jeddah - KSA. Newborn babies' blood was collected in ethylenediaminetetraacetic acid containing tubes in the 1st day of life and analyzed for three different parameters: hematological, leukocytic, and thrombocytic. Red blood corpuscles analysis included cell count, hemoglobin (Hb) concentration, hematocrit, mean corpuscular volume (MCV), mean corpuscular Hb, and mean corpuscular Hb concentration. White blood corpuscles (WBCs) assessment included total leukocytic count (TLC) and monocytes, lymphocytes, neutrophils, eosinophils, and basophils percentages. Platelet count was assessed. Results: There were no significant differences between males' and females' hematological parameters. Leukocytic parameters showed significant difference between males and females in TLC (P = 0.017) and a statistically significant difference between the monocytes in both genders (P = 0.037). The differential WBCs parameters were similar between both genders. Conclusion: We established the reference range of hematological parameters from cord blood in healthy full-term newborns in Jeddah, KSA. Our results can be used as a reference range to support clinical diagnosis, treatment, and public health interventions in healthy full-term newborns in Jeddah. Background and Aims: Postoperative analgesia in neonate reduces acute behavioral responses to pain. It also protects the developing nervous system from persistent sensitization of pain pathway and potential damaging effects of altered neural activity on central nervous system development. We compared the effectiveness of epidural versus systemic modes of analgesia for major surgeries in neonates and infants. 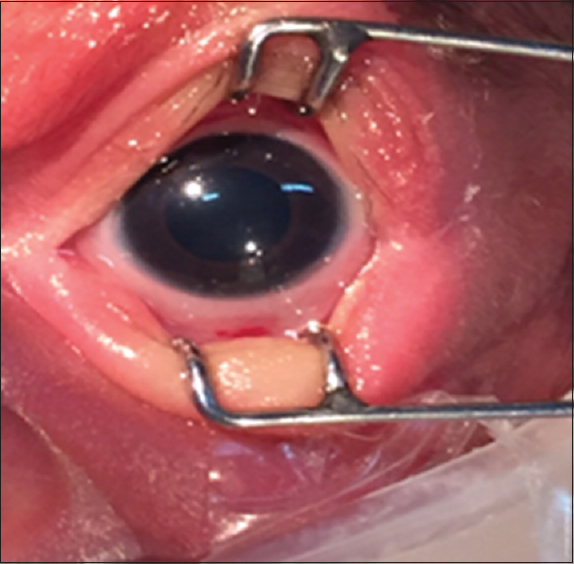 Materials and Methods: This randomized, single center, prospective, controlled study was conducted in sixty patients, aged 1 day to 6 months, weighing 2–5 kg belonging to the American Society of Anesthesiology physical Grade II to IV, posted for major thoracic and abdominal surgery. After general anesthesia, in Group A, the epidural catheter was inserted through standard caudal epidural technique. Initial bolus of 0.125% bupivacaine (0.75 ml/kg) and postoperatively caudal infusion of 0.0625% bupivacaine (0.1 ml/kg/h) was given. Intraoperatively Group B received fentanyl (1–2 μg/kg) and paracetamol (10 mg/kg) intravenously and postoperatively paracetamol (10 mg/kg)/intravenous (IV) six hourly or pain score > 4. Postoperative pain was assessed using face, legs, activity, cry, and consolability pain scale and sedation score was assessed by using four-point sedation score for 48 h. Results: Patients in Group A remained hemodynamically stable except occasional bradycardia below 100 which was successfully managed with anticholinergics. 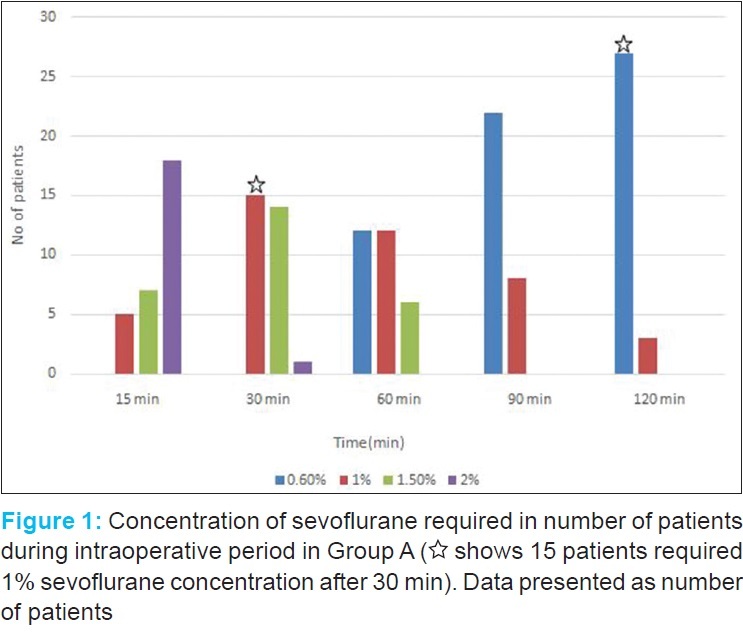 There was less requirement of sevoflurane in the intraoperative period and good quality of analgesia. While in Group B, multiple and regular dosage of IV paracetamol was required to maintain adequate analgesia. Conclusion: Very efficient postoperative analgesia can be achieved via caudal epidural catheter in combination with general anesthesia compared to IV paracetamol in neonates and infants. Objectives: To provide baseline values of muscle tone of healthy preterm appropriate for gestational age (AGA) infants and to study the influence of gestational age (GA) on muscle tone of healthy preterm infants compared to full term (FT) at 40 weeks postconceptional age (PCA) in Indian scenario. Methods: The muscle tone of 204 healthy preterm and 74 term infants with normal perinatal course was measured within 72 h of life with the help of a goniometer. Out of 75 preterms followed up till 40 weeks PCA, 61 completed the study. The cohort was subdivided into two groups: Group 1= <35 weeks gestation (n = 23) and Group 2= ≥35 weeks gestation (n = 38). Each group was compared to term infants at 40 weeks PCA. Statistical analysis was performed using SPSS software. Results: The adductor angle, arm recoil, popliteal angle, wrist flexion and dorsiflexion angles of both preterm groups were significantly less mature than the FT (P < 0.05). Scarf sign was significantly lower in Group 1 but not in Group 2 when compared to FT individually. Heel-to-ear angle and posture of both groups were not significantly different to the FT. Conclusions: Objective assessment provides a normative data for healthy preterm infants. Maturation of heel to ear angle and posture is independent of GA at birth and can be taken as marker of muscle tone maturity. Deviation in these indicators can be taken as a marker for delayed maturation and follow up is advisable in these cases. A term appropriate for gestational age neonate presented with severe cholestasis with features of acute hepatic failure in early neonatal life. There was hypoglycemia, hyperammonemia, cholestasis, ascites, and hepatomegaly. 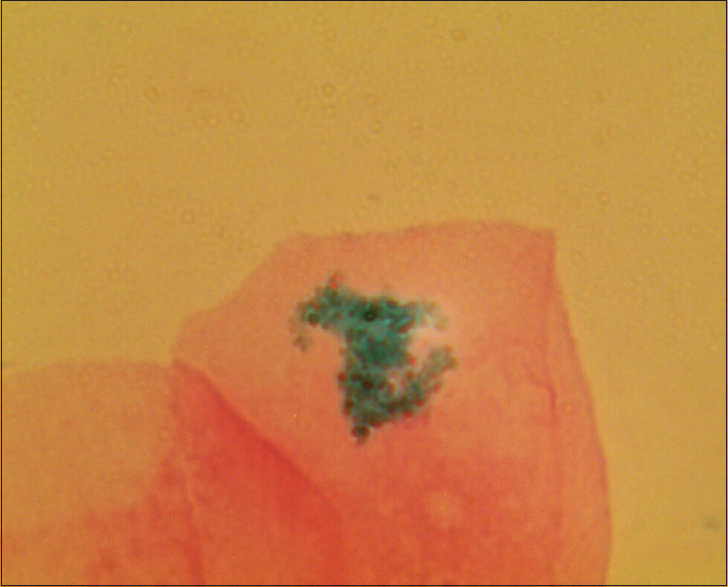 Buccal mucosal biopsy containing minor salivary gland revealed iron deposition on Prussian blue staining suggestive of neonatal hemochromatosis. The neonate responded to exchange transfusion and intravenous immunoglobulin. The widespread use of Rh-D immune globulin has led to a relative increase in the importance of non-Rh-D isoimmunization as a cause of hemolytic disease of the fetus and newborn (HDN). Disease spectrum for non-anti-D erythrocyte alloimmunization may range from subclinical hemolysis to active hemolysis and hyperbilirubinemia requiring exchange transfusion. 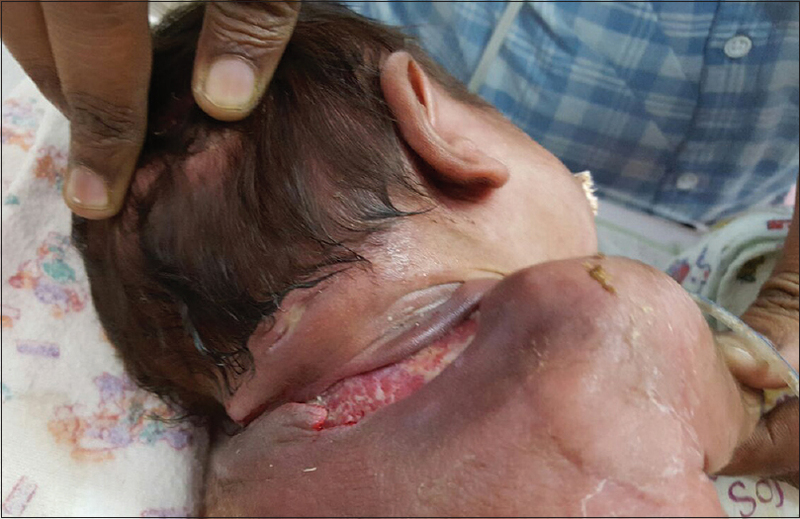 We report such a case of HDN due to Rh anti-c in an infant of an Rh-positive mother, who required double volume exchange transfusion. Vitello-intestinal duct anomalies are secondary to the persistence of embryonic vitelline duct.Remnant of connection of mid-gut with yolk sac results in a number of congenital anomalies. We present a case of patent vitello-intestinal duct in which prolapse of bowel through a patent omphalomesentric fistula occurred and presented like an umbilical mass.